Thinking of moving from Sky..
- Has anyone made the switch from Sky ? Were you able to keep your number ? Was there any thing different about the set up on the days leading up to or during your going live day, compared to going to any other provider including Sky? - Did the switch going smoothly? - Have you had any problems with the service line speed etc etc? If yes were they quickly and easily sovled? - Whats your overral experince with them like? Re: Thinking of moving from Sky.. I'm in a similar boat, as my discount with sky had ended. I want to use my own router though, and their less than consistent policy of connection details doesn't help. I had a mate who was on BT, migrated to Sky LLU and then Fibre, and then to Vodafone. Apparently his number can not be migrated back to Sky (he tried to cancel his Vodafone service and move to Sky, and that is what Sky told a potential 'new/returning' customer)..... So yes, his number moved happy to Vodafone, but now is seemingly trapped with them (if you believe what the sales teams told him, and he questioned it a couple of times). Switching I believe as smooth, just swapped the routers over. Performance seems to be fine, he is on 80/20. I'd imagine their customer service is [email protected], just as it is for their mobile customers. Sky CS has always been brilliant, and I feel pained when I have to call VF with queries about my mobile as they are a bunch of incompetent cretins. However if the service "just works" then you;'d never have to experience it.... sadly there aren't enough customers on VF fibre to know. ok thanks given me something to think about I've got 2 or 3 months before my sky deal ends. If only sky would get rid of line rental or at least bring prices in line with vodafones..i know not going to happen they only seem to know how to increase prices. If only sky would get rid of line rental or at least bring prices in line with vodafones. Vodafone haven't removed line rental - it's just hidden in the price now. They have done this. Thing is, line rental is still in the price, line rental pays for maintenance of the telephone line coming into your home... Vodafone have just bundled it into one big price and said "no line rental." Now Sky, BT etc have followed suit. You will notice the prices are generally the same, or higher, than the old price which was Line Rental + Broadband. Notice the overall price is basically the same. i'am not sure i understand that vodafone line rental is hidden in one price as typical line rental going via other providers is around £17 which would make there broadband around £9 how can they do it that cheap when other providers can't?! I pay talktalk £0 for fibre and just pay £17.70 total a month = 17.70 total (retentions deal) but it's £27 normally. Other providers can and do offer broadband around that price. You just need to get on board during their offers. Its called competition and a desire to grow a user base from perhaps 150,000 customers to a million and bigger, ie. need to undercut others as much as possible. 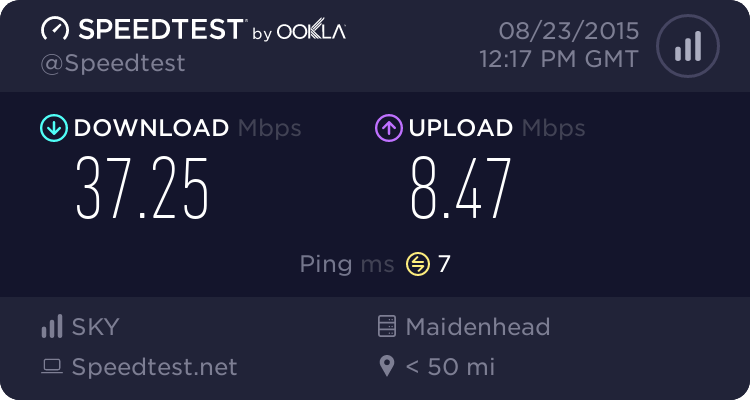 The difference here is that Vodafone's £25 per month for unlimited fibre and line rental is not an introductory offer, whereas all the other prices you mentioned are. A big difference between a fixed price contract for life and a fixed price for an 18 month term.